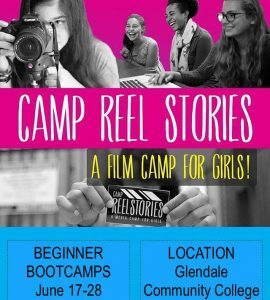 Welcome to Camp Reel Stories Los Angeles! For information and questions regarding Reel Stories Los Angeles, please contact Dunya Merell Djordjevic at dunya@campreelstories.com. 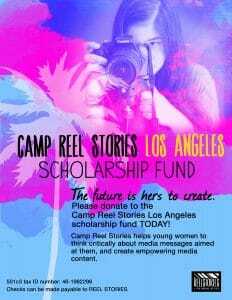 Starting February 14, we’re launching our campaign to raise money for the Reel Stories scholarship fund! By donating, you are ensuring that no young filmmaker is turned away due to lack of funds. Contribute and help us reach $15,000 by March 14! Donate to send an aspiring filmmaker to camp today! Reel Stories Los Angeles summer program registration is OPEN! Starting June 17, young female filmmakers will get hands on experience with screenwriting, filming, & editing- all taught by professionals in the film & media industry! Register today to create your own original film!